Defending Monster Town from the Evil Robot Empire! 12th Apr 2013, 6:10 AM in Menace of the Growbot! Here's the cover to issue #1 of M.A.R.s. 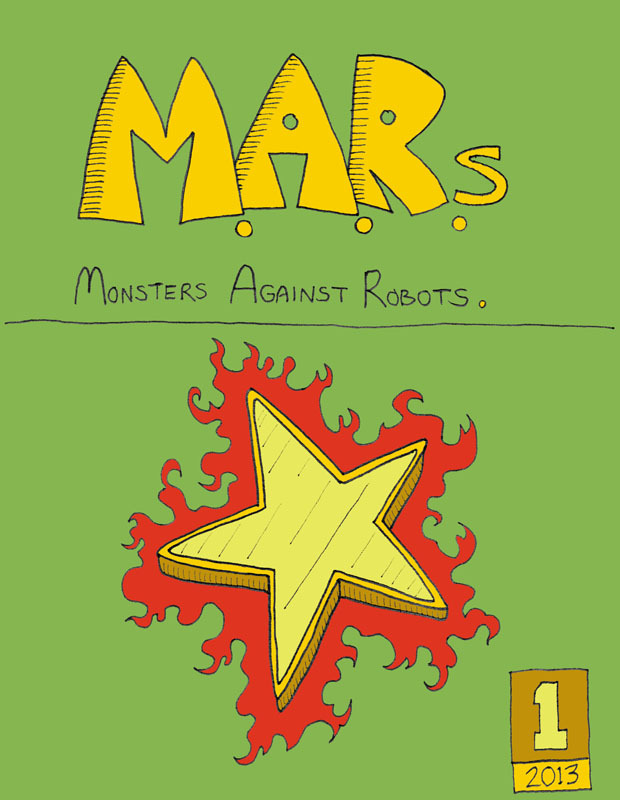 Web comics don't particularly need "covers" or "issues," but M.A.R.s was created as a print comic, so here you go. D. Floyd French penciled this cover, and I inked and colored it. But, you ask, what is this comic, and why was it created? Click on over to the next page, and I'll tell you all about it.